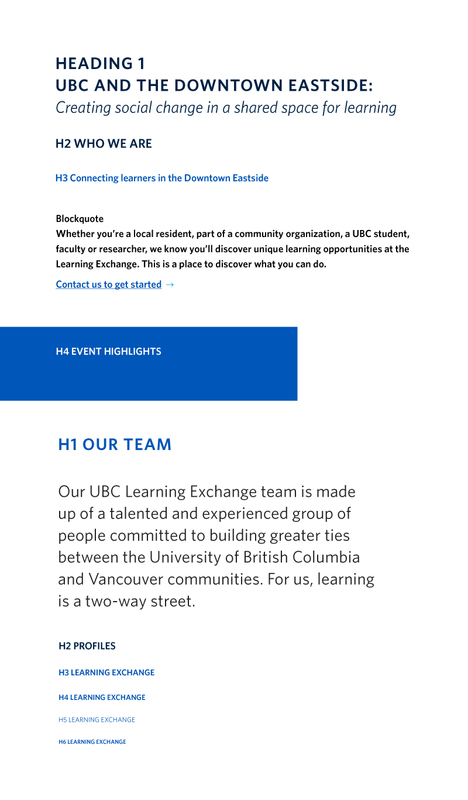 The University of British Columbia Learning Exchange is a unique university space in the heart of a community with a mission of enabling shared learning. It welcomes and empowers people from Vancouver’s Downtown Eastside and UBC to build capacity, exchange ideas and learn together. 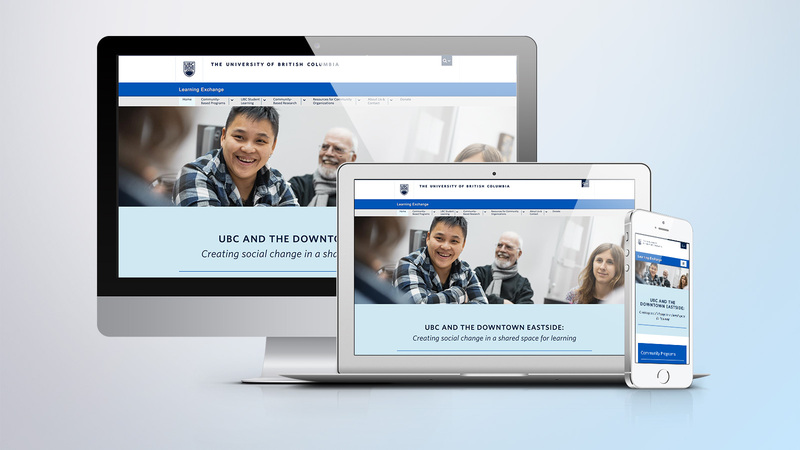 We assisted the Learning Exchange with designing and developing a refreshed website in UBC’s WordPress CMS and using the University’s Common Look and Feel design system. 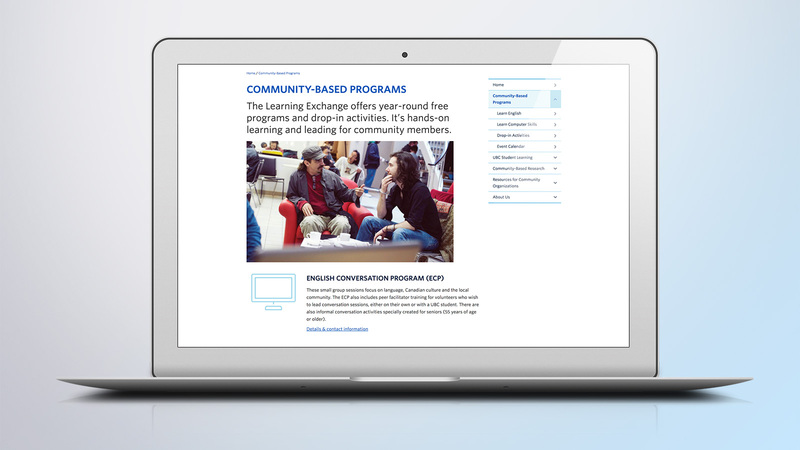 The main objectives were to communicate the mission of the Learning Exchange, simplify the visual design and improve the user experience for a variety of audiences, while keeping the site easy to maintain after launch without in-house web support.